Improved Database integrity and transparency. We have increased our focus this year on having the most up to date subscriber database possible. Access to unsubscribe has been improved and dormant subscriptions removed. 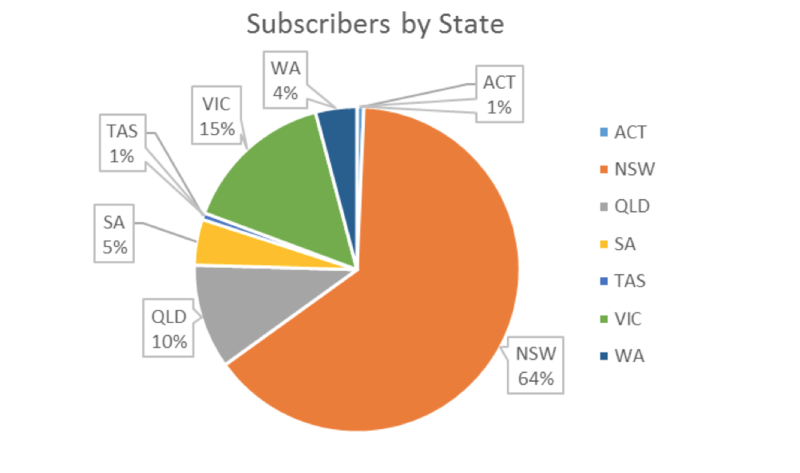 The result is that advertisers can have the utmost confidence in using CouncilJobs to reach their target Jobseekers and there are now over 5,500 current CouncilJobs Subscribers, with over 25% now in Vic and Qld. The CrystalBall project is a two-part research project of both Council HR leaders and CouncilJobs Jobseekers designed to inform the future of Council recruitment across the country. There were 220 participants in the HR Leaders survey from 540 councils nationally and 536 participants in the Jobseekers Survey from over 6,000 invited to participate. From this survey a clearer profile of the CouncilJobs subscriber base can be gleaned.